Compared to archrival General Motors, Ford got a late start on their full-fledged styling studio efforts. But throughout the 1950s and ‘60s, Ford designed concept cars became more common and more relevant, eventually leading to some of the most important production vehicles in Ford’s history. In the beginning, there was Henry Ford. A genius for the ages, Ford managed to build a reputation for simple, affordable, reliable vehicles. It was a formula that worked, and flashy styling, chrome doodads, and trendy paint schemes were never part of that equation. By any stretch of the imagination, the Model T, and later the Model A, were enormous successes. Meanwhile, over at GM, upstart Hollywood designer Harley Earl was putting pizzazz in what used to be considered appliances. Not only did people want a car, they wanted a new car, because the current year’s model was different than the last. Cars weren’t just tools anymore. They were an expression of the owners. They were symbols of success. They were fun. Henry’s son Edsel recognized this trend. And contrary to the wishes of his father, Ford styling took a turn for the better in the 1930s and ‘40s thanks to Edsel Ford’s leadership and influence. Designers were on staff by then, and Fords were doing a nice job keeping up with their competitors in terms of styling. George W. Walker became the head of Ford styling in 1955, and several great concepts emerged as a result. 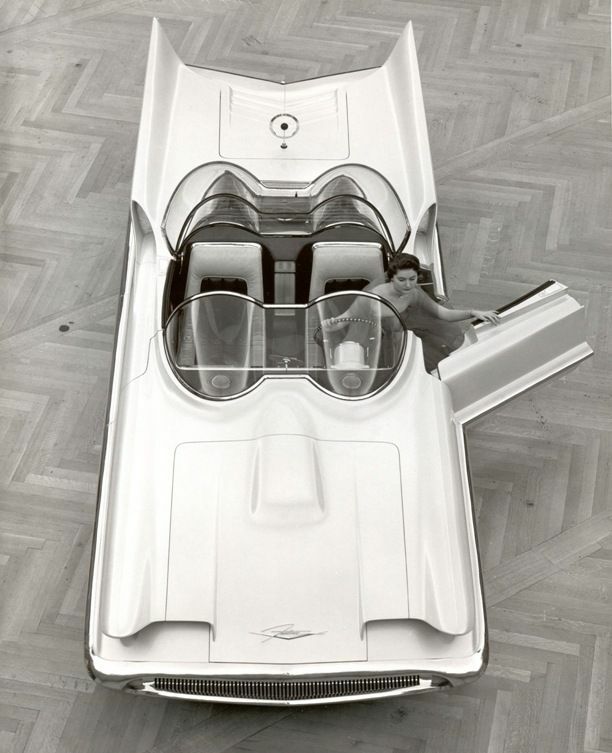 One of the most famous is the 1955 Ford Futura concept. 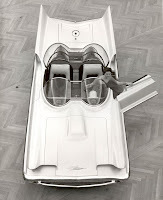 The wide, flat, dual-pod top two-seater featured ultra-modern looks combined with dead-perfect proportions, and it showcased the strength of Ford’s design talent. 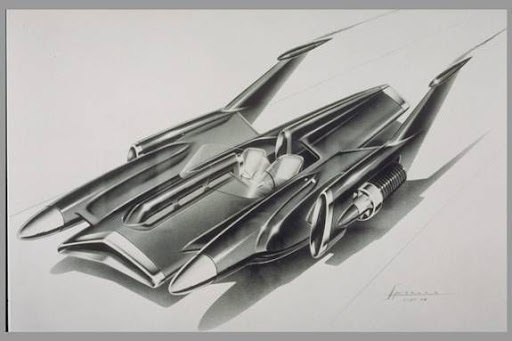 The Futura eventually was converted by “Kustom” car designer George Barris into the Batmobile for the 1960s television show, making the Futura possibly the most well-known concept car of all time. During this period, Ford churned out several concept cars. Some of them were realistic and functional like the Futura, and some of them were “futuristic” to the point of being ridiculous. While many ideas from General Motors concepts seemed to find their way into production vehicles, many of Ford’s concepts had somewhat of a George Jetson, flying car-type optimism. If things had gone in the direction of these concepts, today we might be driving around in three-wheelers, hovercrafts, or flying cars. In 1961, Gene Bordinant, Jr. took over the Ford Design Office, and under his guidance the Ford Mustang was born. The first concept was that of a sporty two-seater, but as we all know, it eventually became the 2+2 Pony Car we have all come to know and love when it actually reached showrooms. The slideshow below features some of Ford’s more well-known concepts from the 1950s/1960s.